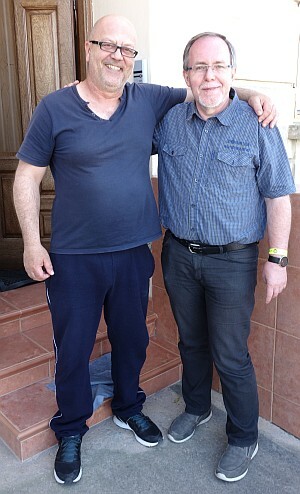 During the Easter-vacation on Malta I met David, 9H1TX. We never had a contact before on any band but when we met at ON4KST-chat, David invited me to visit him at his QTH in Zurrieq and so I did. David is a very nice guy and an enthusiasic Radio Amateur, mainly working on 2m and 6m. He has an excellent takeoff especially into Central Europe. Hopefully we’ll meet on one of the bands before too long. Thanks for your hospitality and a nice afternoon talk with you David!